Kiwi is an exotic fruit rich in vitamin C, K, and E and a lot of other essential minerals. It also has traces of vitamin A. It helps in collagen formation and rich in antioxidants. The black seeds of kiwi contain fatty acids omega 3 oils which is great for the skin too. 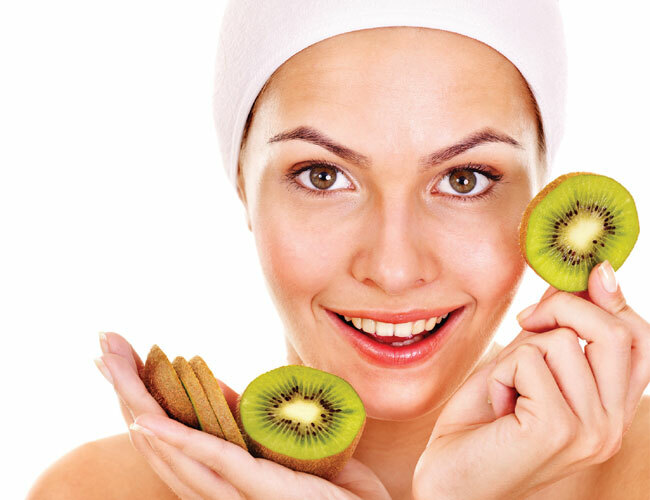 Kiwi face packs keep the skin soft and supple. Kiwi has vitamin C more than an orange and also called “king of vitamin C” and also packed with flavonoids. Here are 5 amazing face packs with which you can get radiant, glowing, and beautiful skin. This is a good brightening face pack. Take a full ripe kiwi fruit and add in 1 tbsp of yogurt. 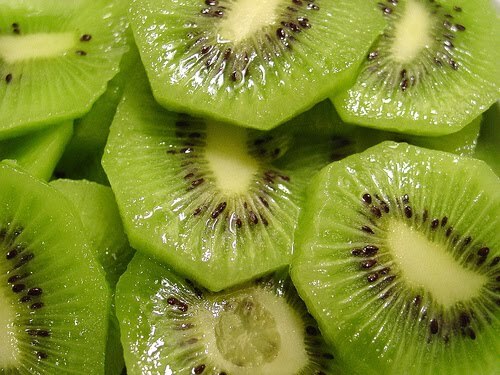 Mash the kiwi fruit in the yogurt and apply it on the face and neck and rinse off after 30 minutes. This face pack adds a nice glow. Take a ripe kiwi fruit and add in 1 tbsp of honey and make it into a paste with a spoon. Apply it along with the seeds on the face and rinse off after 20 minutes. This face pack moisturizes the skin very well. Take half a banana and one ripe kiwi fruit and mash them well. Add in 1 tbsp of honey and apply on the face and neck and rinse off after 20 minutes to reveal glowing skin. A very potent vitamin C face pack. Take a ripe kiwi, squeeze in a few drops of lemon, add in 1 tbsp of honey to this. Mix well and apply on the face and neck. Wash off after 20 minutes to reveal soft and smooth skin. Avocado is rich in vitamin A, B, C, and along with kiwi, this is a good anti-ageing face pack. Take out the pulp from one kiwi and one avocado fruits. Mash them together to a creamy paste. Add honey if you want. Keep on the face for 30 minutes and rinse off. Regular use will give you anti-ageing benefits.